Front wheel and all wheel drive cars have axles which connect the transmission to the wheels. An essential part of this system are the constant velocity joints. When your CV joints and CV boots break down it’s important to have them repaired as soon as possible. When it comes to CV joint replacement and CV Boot replacement, Ron’s Auto and RV are leading experts. What are CV Joints and CV Boots? 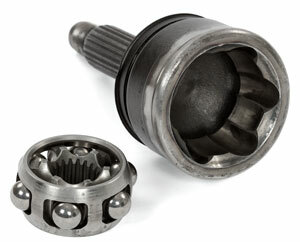 Constant Velocity Joints (CV Joints) and axles are vital components of your vehicle’s daily operation. The CV Joint is a part of the drive shaft that attaches to your transmission. CV joints and axles are important for your vehicle because the two components work together to foster steering stability and to sustain the performance of your vehicle’s suspension. Having a properly functioning suspension as well as reliable steering stability are critical while accelerating, turning, and just simply driving down the road. Around these joints you will find a CV boot that protects them. The CV boot is greased to protect the CV joint while it moves. 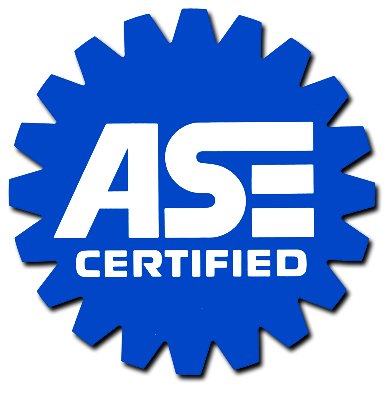 You will likely need to replace your CV boot before the CV joint because the rubber and plastic tend to degrade over time. If your boot is damaged it cannot protect your CV joint as it was designed. By not maintaining your CV boot you could end up with more damage and costs. If you feel you might need your CV joints or CV boots replaced give us a call at Ron’s Auto and RV to schedule an inspection. When Do I need to replace my CV Joints? Your vehicle will need its CV joints replaced over time. 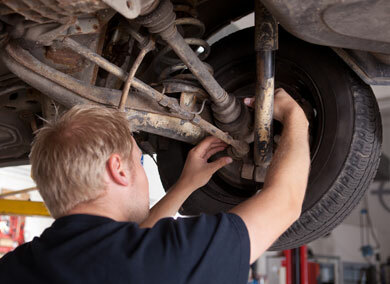 If you notice your car vibrating as you accelerate or strange noises when you drive, you might need your CV joint replaced, and here at Ron’s Auto and RV, we have expert mechanics who can inspect your CV joints and boots, make any needed repairs, and get you safely back on the road.